Wrap this strand of pearls for a bold look, or wear it long for a playful accessory! 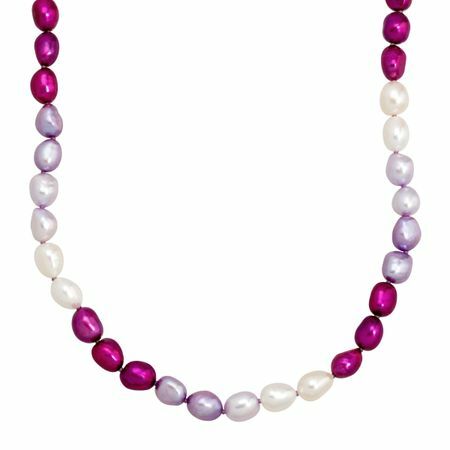 An array of 7-8 mm white, lilac, violet, and deeper purple freshwater pearls are strung side-by-side on this long strand necklace, finished with a sterling silver lobster clasp. Piece measures 36 inches in length.